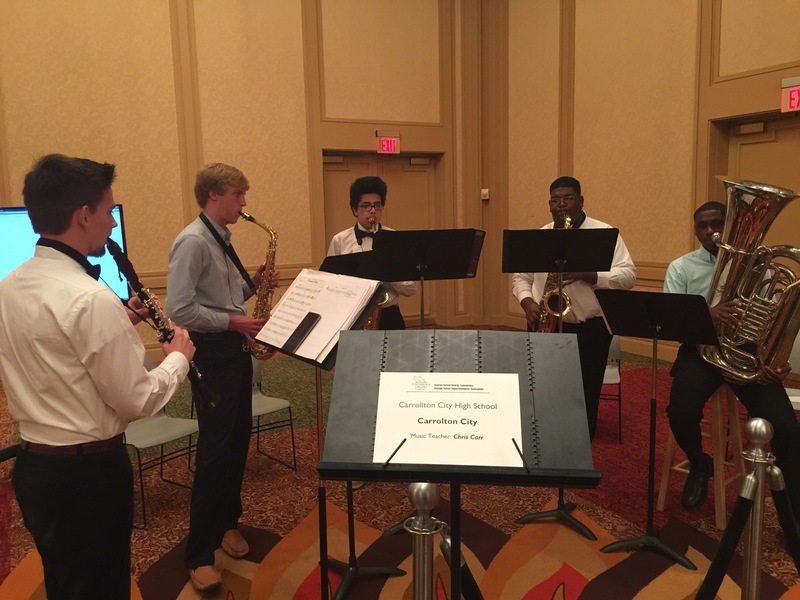 The 5/4 Ensemble, a member of the Carrollton High School Chamber Music Society, performed on December 3, 2015 for attendees of the Annual Georgia School Board Association Conference held at the Renaissance Waverly Hotel in Cobb County, GA. 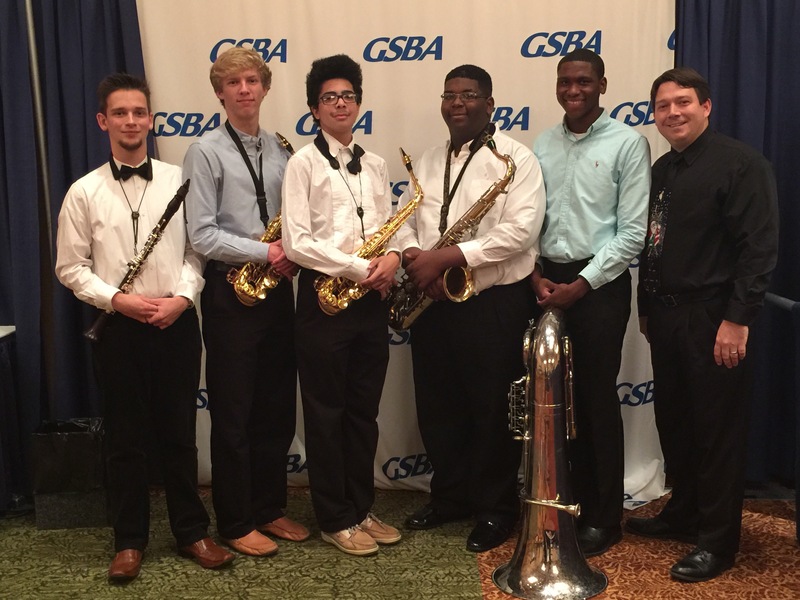 The students were invited by the Georgia Music Educators Association to perform for 30 minutes as a participant of the conference to showcase music education in our state. The ensemble which consists of Daniel Kuntz on clarinet, Chase Hornsby on alto saxophone, Aquay Backus on alto saxophone, Katahj Copley on tenor saxophone, and Khalil Newell on tuba performed arrangements created by the students. Many school board members stopped to listen, photograph, and video snippets of the performance to share when they return home. 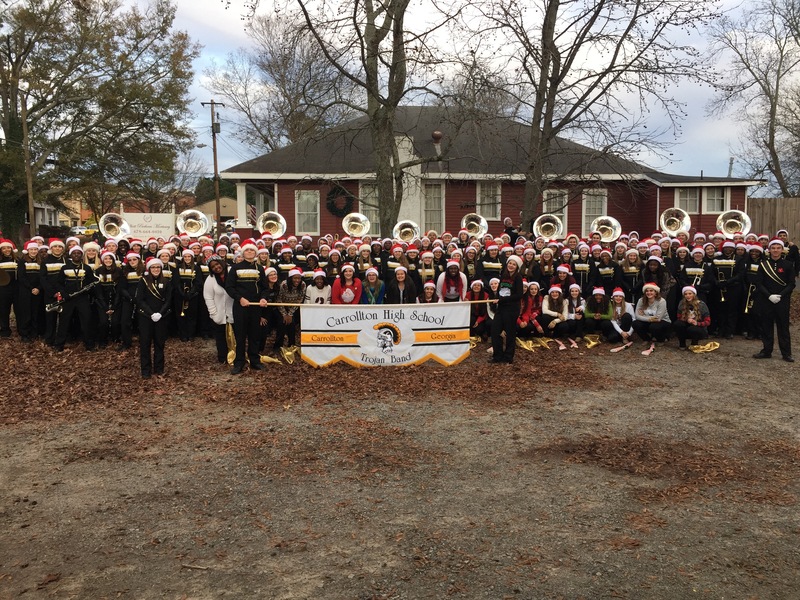 This was followed a very successful Christmas Parade through downtown Carrollton! So proud of our students!!! Posted in CHS Band on December 3, 2015 by CHS Trojan Band.